It is well documented that, nationally, around 30% of all sales arranged fail to reach a successful exchange of contracts. Fortunately, our success rate is better than average! Preparation – Make sure your solicitor has put a legal pack together and prepared a draft contract as soon as you start marketing – in anticipation of finding a buyer. Be serious – Only accept a serious offer. Does the buyer have anywhere to sell, a mortgage agreed in principle and a solicitor lined up? Ask to see details. A serious buyer will be prepared and won’t want to delay. Don’t accept an offer exclusively from someone with a property to sell. By doing so you limit the sale ability of your property to the sale ability of theirs, and you lose control. Bridge – Bridging finance can provide a solution if you are caught between selling and buying. It is effective but costly and risky, so think carefully before entering into any agreement. Ask your solicitor about pre-contract agreements, which can bind the purchaser to buy prior to exchange, subject to certain provisions, much as they use overseas. 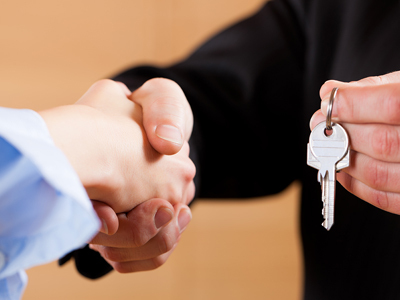 You can even take a deposit from the purchaser to guard against them pulling out or renegotiating. At Ainsworth Lord Estate Agents, we pride ourselves on our ability not only to deliver buyers to your door – but, more importantly, to make sure that your sale sticks! So, you’ll find our agents don’t just walk away once the deal is done, but are fully involved in the whole sale process and will hang in there with you until the day you move.